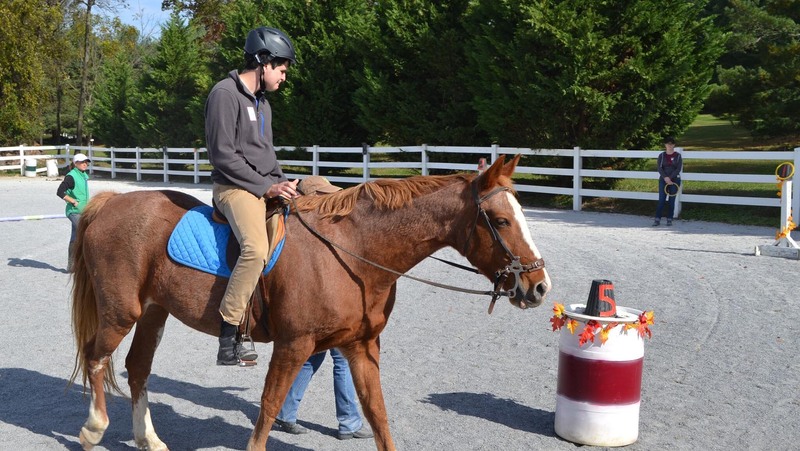 LeCheval Stable has a long standing commitment to providing quality volunteers. Many of our volunteers have started as young as age 14 and some are now working in Human Services in areas of Psychology, Social Work, Occupational and Physical Therapy, and Special Education. Initial Volunteer Training requires signing of waivers and background checks. Advanced Training and mentor support is ongoing for volunteers. 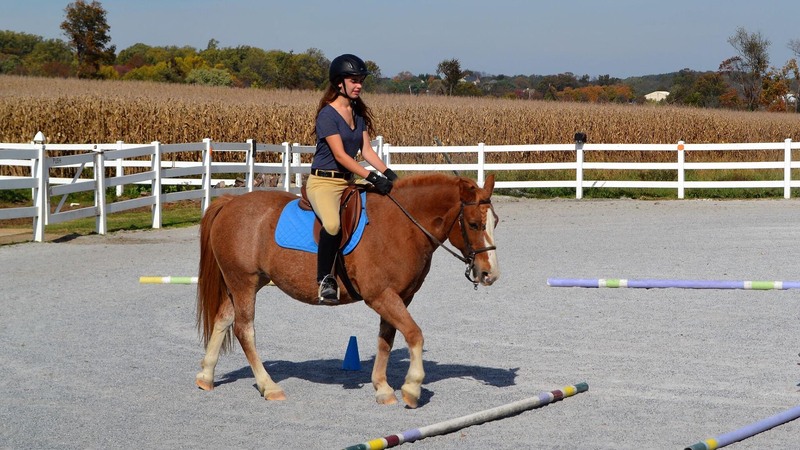 LeCheval Stable participates with Howard Community College Learning Links Program in which students volunteer each semester for at least 12 hours for certain credit based coursework. LeCheval Stable has provided work experience training for Transitioning Youth through the Pre Employment Training Program (Pre-ETS) for Division of Rehabilitative Services (DORS). 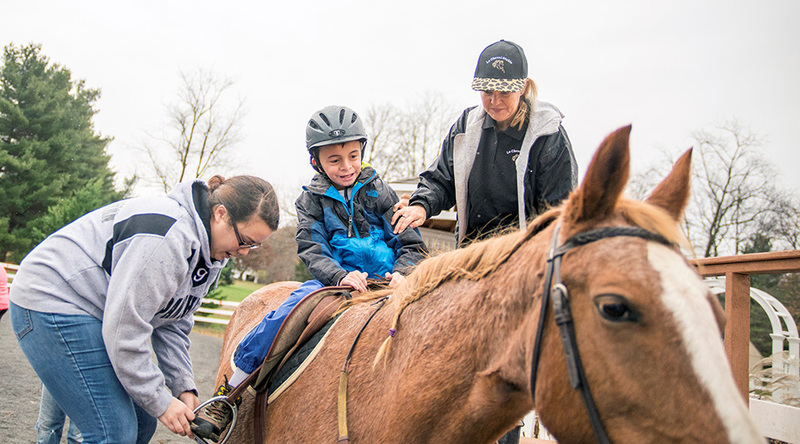 The stable also provides weekly opportunities for interested youth to receive job sampling and customized training in horse care and barn management. Horse leader/handler's primary role is to the horse. 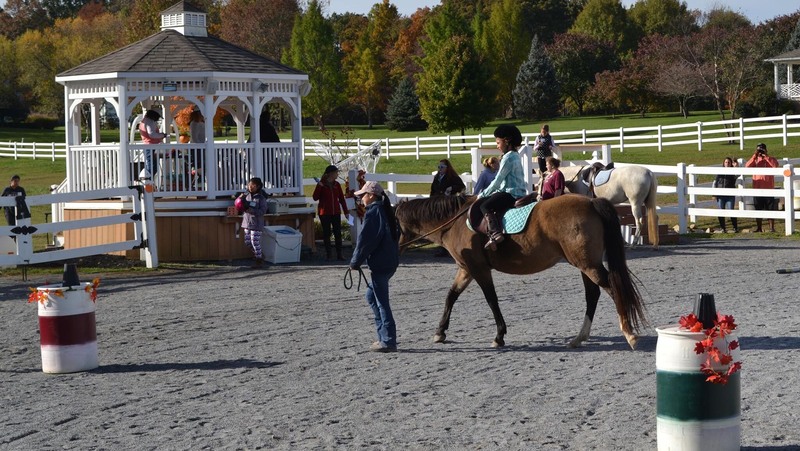 They may help prepare the horse for class, maintain safety spacing, and support the horse follow the directions of the rider during class. 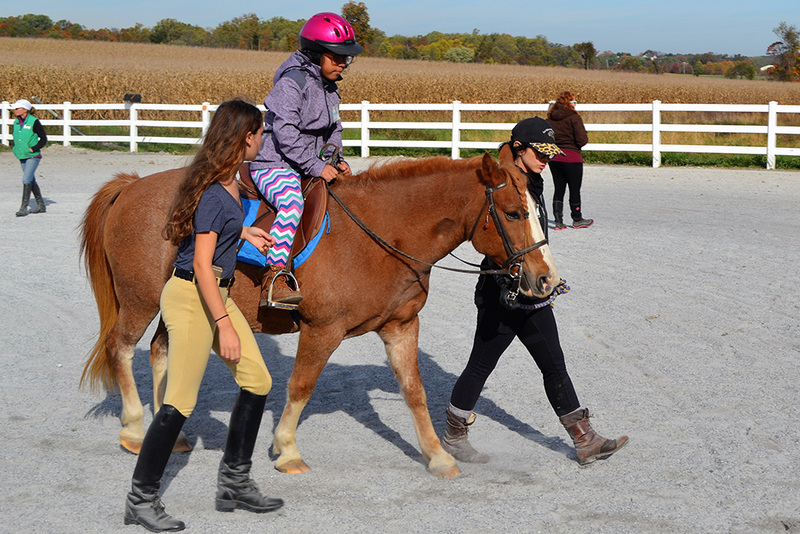 Sidewalkers assist the rider (before, during and after riding), help the rider guide their horse during the lesson, and assist the rider in following the directions of the instructor as necessary. The amount of assistance is dependent on each rider’s abilities. Sidewalkers must be at least 14 years old. The Tacking, Grooming and Barn Maintenance volunteers stationed in the barn preparing horses for lessons, leading horses from and to the pastures, feeding, grooming and tacking, keeping the barn area clean. (volunteers must meet age requirements for individual jobs in this area) A Lead Volunteer will assist with tack changes and horse turn out. Volunteers must be at least age 14 and can earn Service Learning hours through high school. Volunteers will receive handbook, code of ethics, and enjoy many events with the team. Benches in the garden, accessible walkway to arena, ADA mounting block, storage shed and compost bins. We could not maintain the quality of our program without our volunteers! Most are horse lovers or ride horses but this is not required to volunteer. Please access the form below to explore how to become a volunteer.